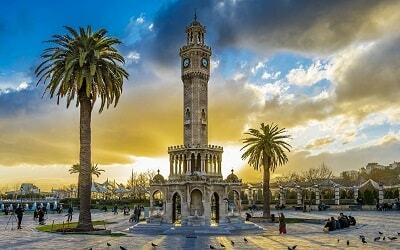 If Side is the pearl of Turkish riviera, Alanya is the gem of it. 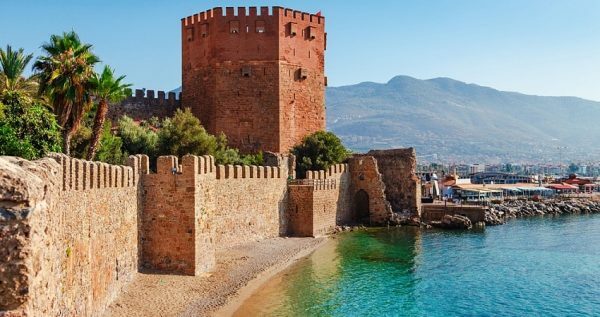 Alanya is home to many natural and historical beauty spots such as Alanya Castle, Shipyards, museums, Dim River, Dripstone Cave and many more. 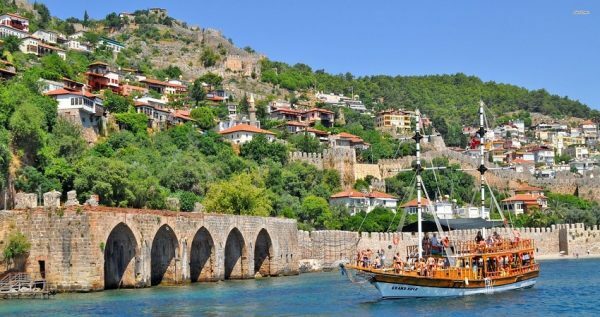 In our Side Alanya Day Trip, we offer you the chance of discovering those marvelous places yourself, join a boat trip along the spectacular coastline of Alanya and have a delicious lunch on Dim River. 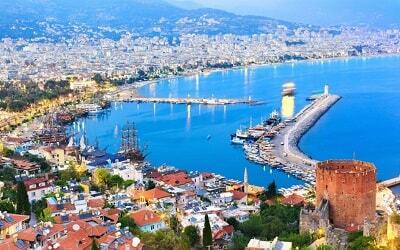 Alanya is a popular holiday resort in Turkish Riviera. Every season, many tourists from all over the world visit this splendid place. This beautiful holiday resort is mostly known with its golden beaches, which even amazed the famous Egyptian Queen Cleopatra. She was in love with this miraculous place and its golden sands. As well as charming beaches, this stunning place has a lively nightlife and is home to many cultural and natural attraction centers. In our Side Alanya Day Day trip, you will have the chance of discovering the city by yourself. You can dive in the depths of the city and wander freely as free as a bird. You can visit the small shops, and do some shopping. You will definitely find something you like, but don’t forget to bargain! If you are not interested in shopping, you can have a coffee in the exquisite cafes of Alanya. 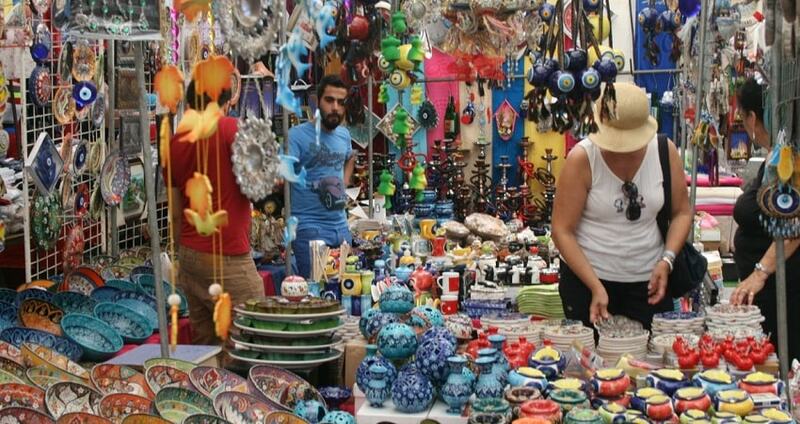 During your free time at Alanya, you can also visit the public marketplace. 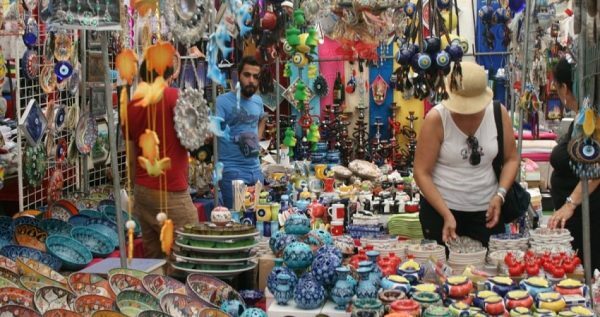 This is a different world, the sellers has a lot of goods from all over Turkey. There will be every kind of goods, from spices to clothes, from bags to shoes. You can find amazing presents for your loved ones here. We will spend some time around Alanya Market, then we will head to Alanya Castle and Dripstone Cave. Those places will be lifelong memories for you. The gigantic view of Alanya Castle will mesmerize you whereas Dripstone Cave will enchant you with the natural formations inside. Afterwards, we will take you to an one-hour long boat excursion around the castle. To immortalize the breathtaking scenery here, don’t forget to take your camera with you. In our Side Alanya Day Trip, you will find the chance to visit the city’s amazing museums and ancient ruins, to take a photo break to enjoy a panaromic view on to the way to the Alanya castle, explore a drip stone cave and take a one hour boat excursion. 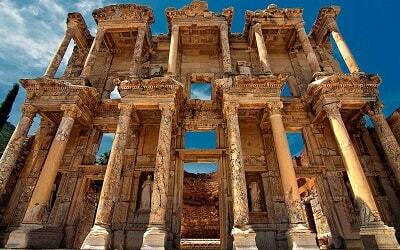 You may also like to check out our Side Antalya Day Trip. We will take you from your hotels with comfortable air-conditioned vehicles at the agreed time. Side Alanya Day Trip begins with a short drive to Alanya. 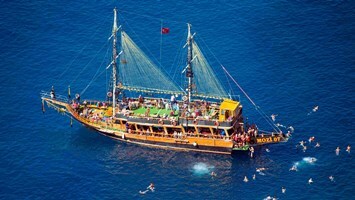 You will get on a beautiful boat waiting for you in the harbour and a boat trip along the coastline of Alanya will start. You will be seeing Alanya Castle, Red Tower, Arsenal, City Walls and Shipyards and will never forget the breathtaking scenery here. After this nice sightseeing boat trip, you will get on the bus waiting at the harbour and our guides will take you to Dim River for lunch. The lunch here is open buffet and you can choose the dishes you prefer. The lunch consists of grilled chicken, trout fish and kebab as main dishes and pasta and salad are also served. 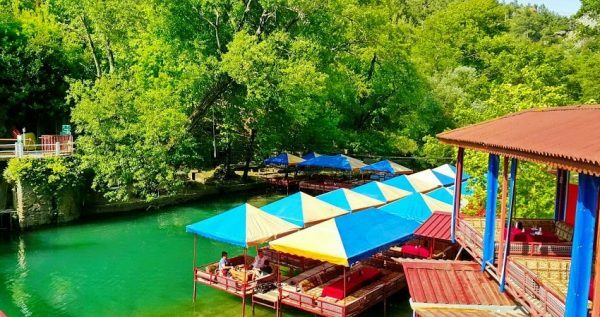 You will have your lunch on sitting pergolas situated on the river. 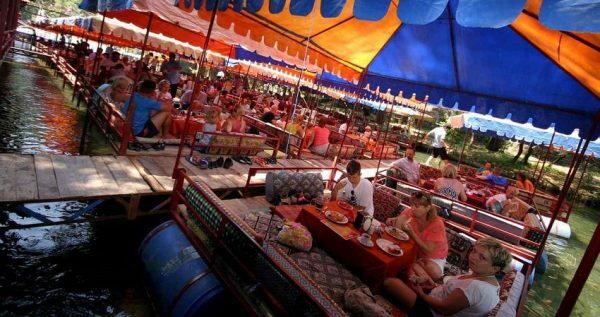 While eating your delicious lunch in the fresh and open air, you will feel the refreshment at its most. 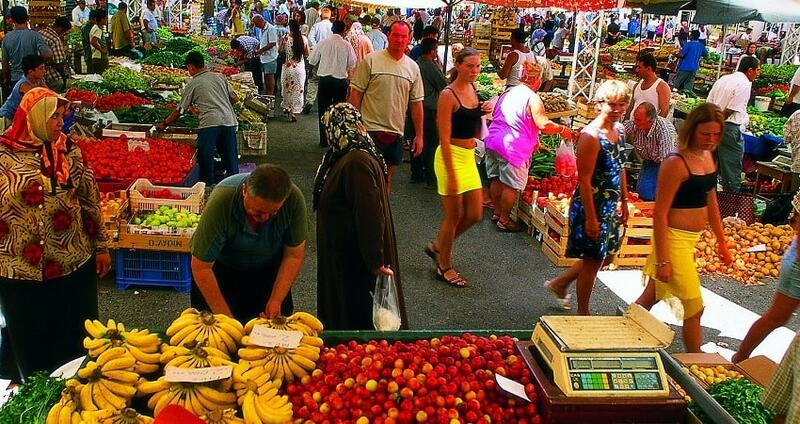 After this tasty and refreshing lunch break, our guides will take you to Alanya town center to public marketplace. 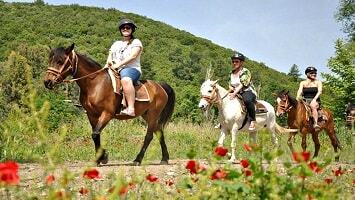 You will have 2 hours free time in Side Alanya Day Trip. In your free time here, you can do shopping from the shops and stalls from really reasonable prices or have some drinks at cute cafeterias or pubs nearby. 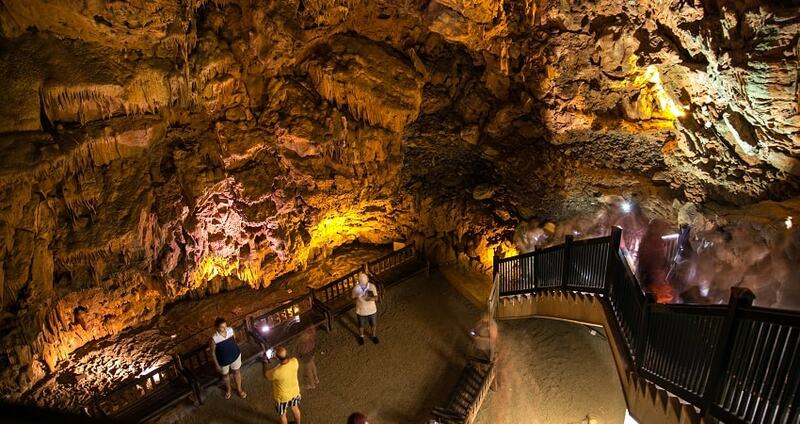 Next stop will be Alanya Castle and Dripstone Cave. Castle is an important symbol of history of Alanya. 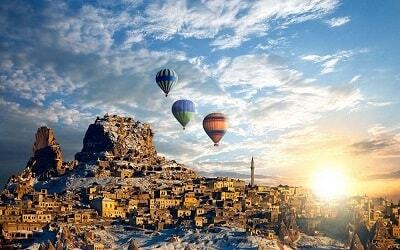 The castle which you can see today looks over the the fortress is a remaining from 13th century Seljuk era. Alanya castle serves today as an open-air museum. 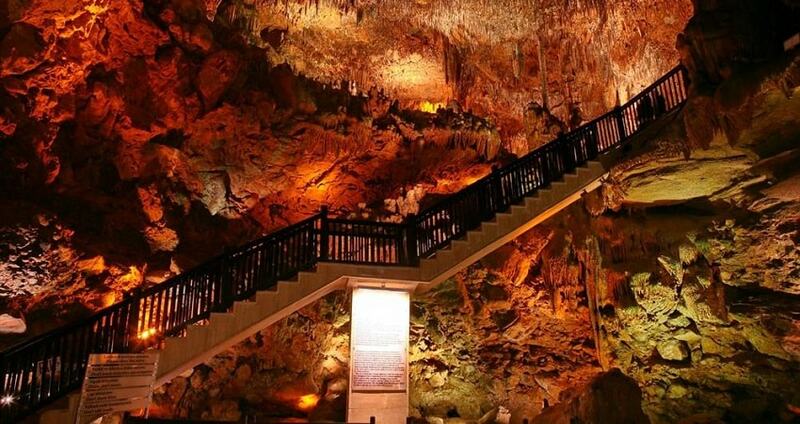 Dripstone Cave is a popular attraction place in Alanya that you shouldn’t miss the chance of seeing it. 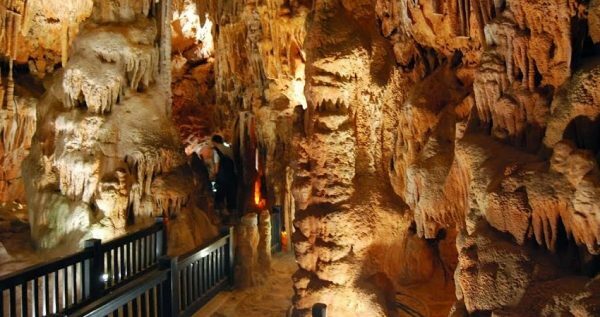 Close to Cleopatra’s Beach, stalactite-studded cave has humidity levels of 95% and is said to produce a certain kind of air that, if inhaled and exhaled long enough, has the ability to relieve asthma sufferers. At the end of the day, we will head for the return journey. Our drivers and guides will do everything they can to provide you a safe and sound journey. Side Alanya Day Trip ends with reaching your accomodation.